What do basketball player and coach Larry Brown, swimmers Jason Lezak and Mark Spitz, and gymnast Mitch Gaylord have in common? While Spitz competed in the 1965 Maccabiah Games before winning nine Olympic golds (including seven in 1972 alone), Lezak first took part in the Maccabiah Games in 2009, after he already had been to the Olympics three times. The same path was taken by Lenny Krayzelburg, who tasted Olympic gold a year before he swam in the 2001 Maccabiah Games. “It’s like walking on the moon. What do you do for an encore?” Kaplan said in an interview, referring to winning an Olympic medal. For Krayzelburg and others, the Maccabiah Games provided the answer. Krayzelburg “decided he knew about these games, and he wanted to get in touch with his Jewish heritage, so that’s why he became an athlete there and a spokesman for the games — and a very vocal spokesman, a very big supporter,” Kaplan said. The sports and features editor for the New Jersey Jewish News, Kaplan runs the award-winning blog “Kaplan’s Korner on Jews and Sports” and wrote the 2013 book “501 Baseball Books Fans Must Read Before They Die.” Why focus now on the Maccabiah Games? 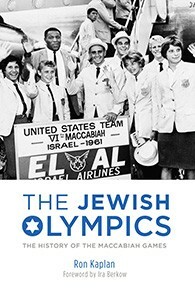 That was Howard Megdal, author of the popular 2009 book “The Baseball Talmud.” Rather than writing the Maccabiah Games book, Megdal recommended Kaplan, who proceeded to delve into the history of the Israel-based sports competition that since 1932 has grown from 390 athletes across 14 countries to 9,000 athletes from 78 countries during its most recent iteration in July 2013. 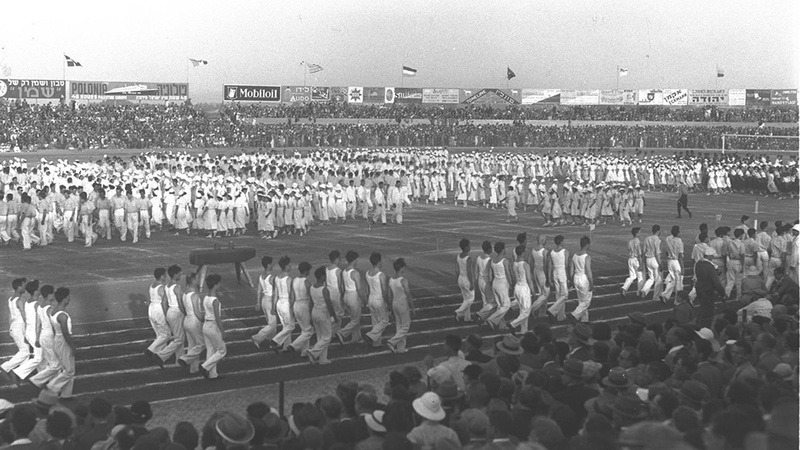 With a total of 20 chapters, Kaplan starts by introducing “Jews and the organized sports movement” before devoting a chapter to each of the 19 Maccabiah Games that have been held. A hallmark of each chapter is the presence of short, digestible profiles of the Maccabiah athletes themselves. “As far as the profiles go, I wanted to get the experience of the people who actually participated in the games. I reached out to as many as I could find, and I wanted to go back as far back as I could,” Kaplan said. The selection of Maccabiah athletes runs the gamut from British fencer Allan Jay (1960 Olympian, 1953 and 1957 Maccabiah participant) to an Israeli gymnast named… wait for it… Ron Kaplan. At the same time, dismissing myths about Jewish weakness was about more than just athleticism. But does that message resonate today, in an era when Jews — despite the persistence of global anti-Semitism — are far more accepted in mainstream society? Kaplan, whose book features 28 interviews with Maccabiah athletes, said the biggest challenge posed by the project was finding information about the games due to a history of poor record-keeping surrounding the event. “It’s not like going to Baseball Reference and finding the definitive number of statistics for all the players,” he added, referring to the baseball-reference.com website, a go-to destination for baseball statistics junkies. 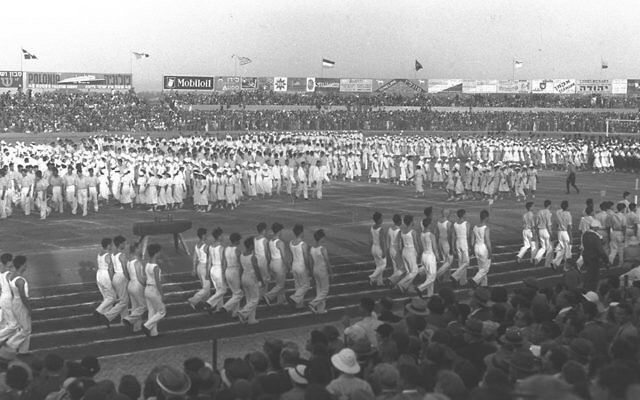 Despite the research obstacles, Kaplan said he believes the final product “is the definitive history” of the Maccabiah Games.